QuickBooks accounting software is perfect for small businesses because it allows you to manage all your financial information in one convenient place. Make sure your QuickBooks software is setup to track your financial data correctly by working with SMS Tax and Accounting Services, LLC. As Fort Lauderdale, FL accountants, we can perform the initial setup of your software and show you how to create reports. We also offer year-round QuickBooks support via phone and email. Anytime you have a question or problem, simply contact us for prompt service so you can get back to work quickly. 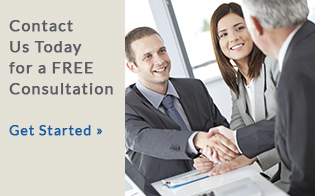 Call 954-294-7140 now or request a free initial consultation online. Our job doesn't end once we've installed your QuickBooks software. SMS Tax and Accounting Services, LLC will continue to provide QuickBooks support throughout the year whenever you need it. Call or email us when you run into questions and problems and we’ll provide fast answers and dependable advice.